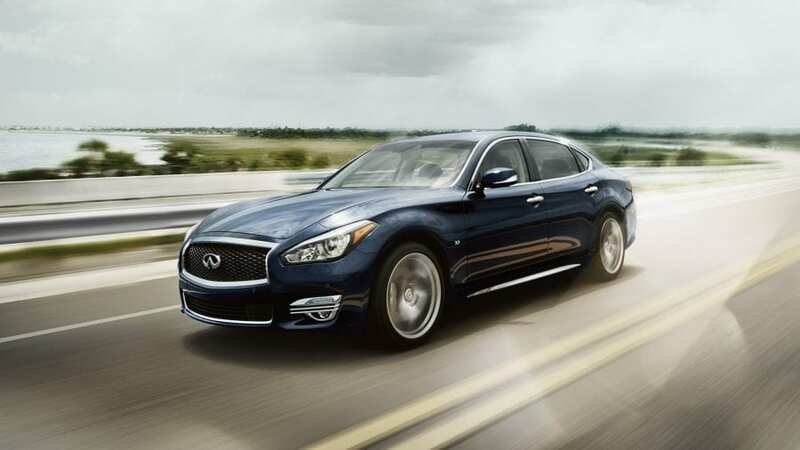 The INFINITI Q70L features over 5 inches of additional leg room in the rear seat, adding substantial space and comfort for passengers without compromising the expressive exterior design. 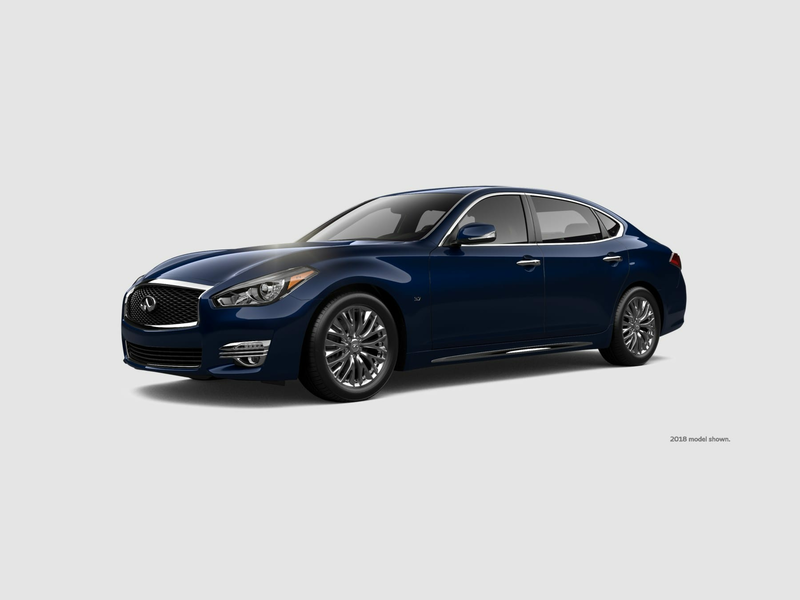 INFINITI's available Intelligent All-Wheel Drive automatically adapts to driving conditions, transferring power to the wheels that need it for better traction and performance. 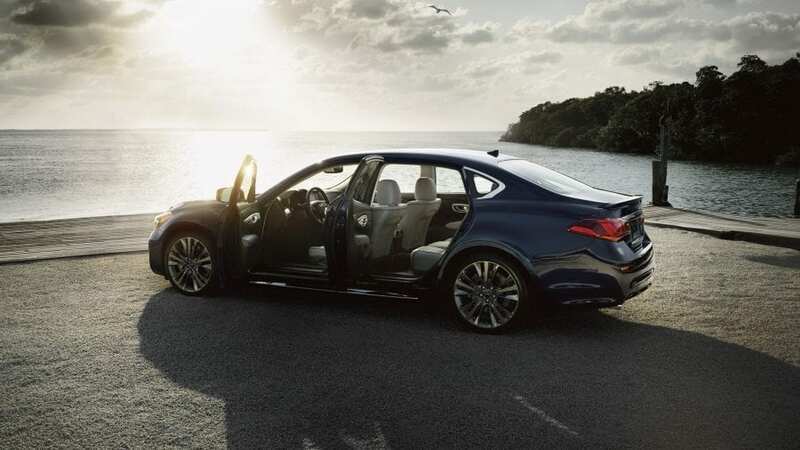 Offering a new perspective of the world around you, your INFINITI helps you navigate even the tightest spaces. 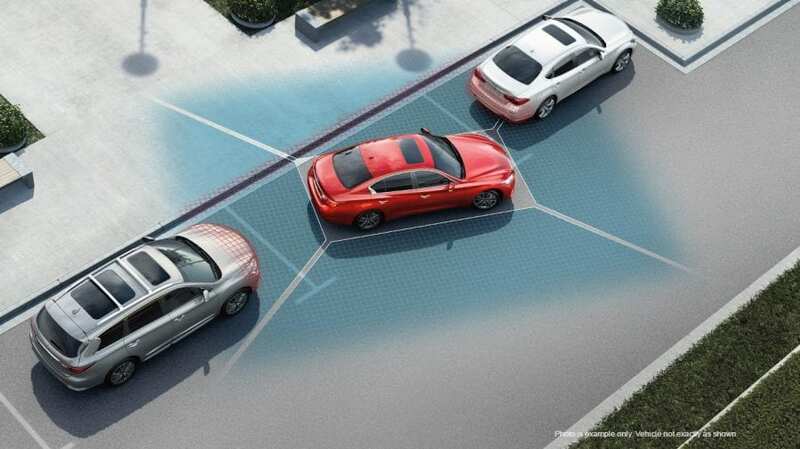 When in reverse, the available Backup Collision Intervention system helps detect crossing vehicles and large objects behind the vehicle and, when necessary, will automatically engage the brakes to help avoid a collision. 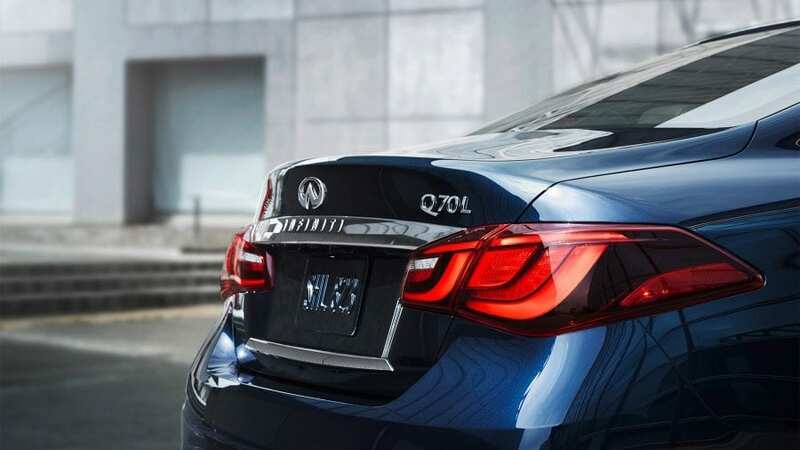 2Compared to standard Q70: AVM with MOD cannot eliminate blind spots and may not detect every object. Driver should always turn and check surroundings before driving. See Owner’s Manual for safety information.